Developed by Obsidian Entertainment. Published by Paradox Interactive. Released on February 16, 2016. Available on PC,OSX, Linux. Review copy provided by publisher. 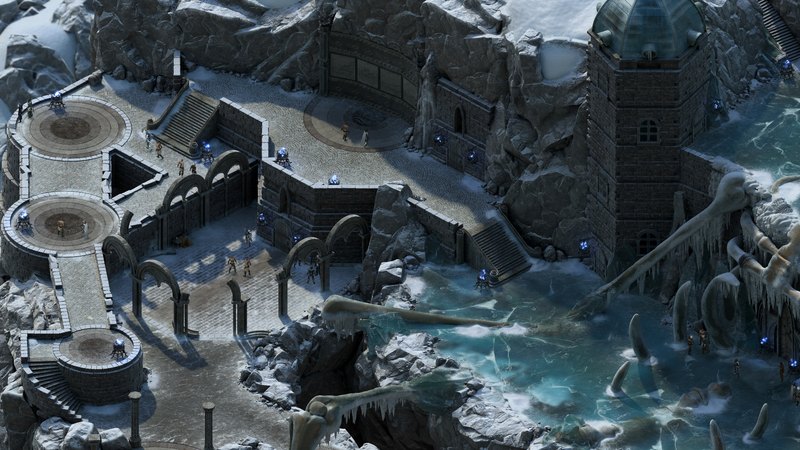 Pillars of Eternity: The White March Part 2 is the fast-paced resolution to the loose story threads left at the end of White March Part 1. As the back half of a two act play, set against the gorgeous scenery of Eora's wintry climes, it feels much more focused, both narratively and structurally, than its predecessor. Consequently, it also feels a good deal smaller. It may be a product of the fact that I completed almost all of the side content available to me in Part 1 before Part 2 released. Nonetheless, I definitely got the sense that the bulk of this expansion was an extended main quest, without much else to round out the experience. Luckily, what I did get was worthwhile and exciting. White March Part 2's greatest strength is that it manages to tell a story as impactful and grand in scope as the base game's central Hollowing of the Dyrwood quest line, while not retreading too much of the same ground. By the end, I felt I'd had nearly as much of an impact on the world of Eora as I had after my final confrontation with Thaos. There are huge decisions to be made with potential reverberations throughout the cosmos. This isn't a one-off episode in the life of the Watcher. This could be its own movie, or its own season of TV. I also learned more about the nature and history of the world's enigmatic gods, above and beyond the massive reveals the main quest offered. 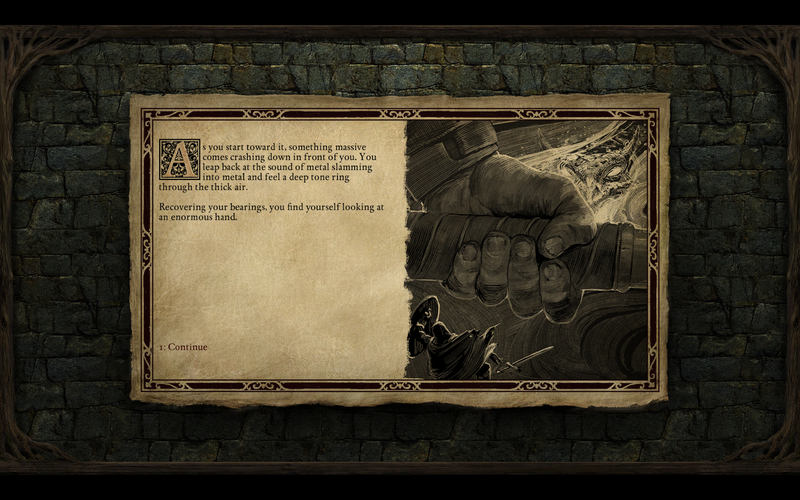 I'm smitten with Obsidian's slow trickle of cosmological information in this series, and was glad to get another substantial taste. 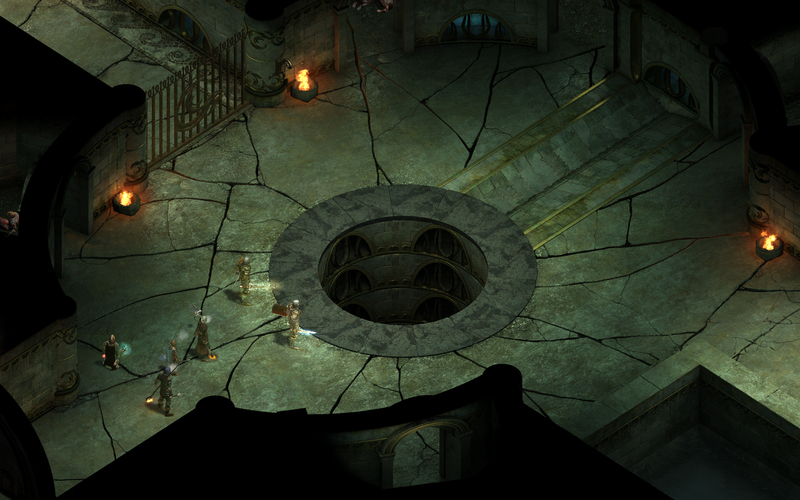 Combat remains a weak point of the Pillars formula, and it's abundantly apparent in this expansion. 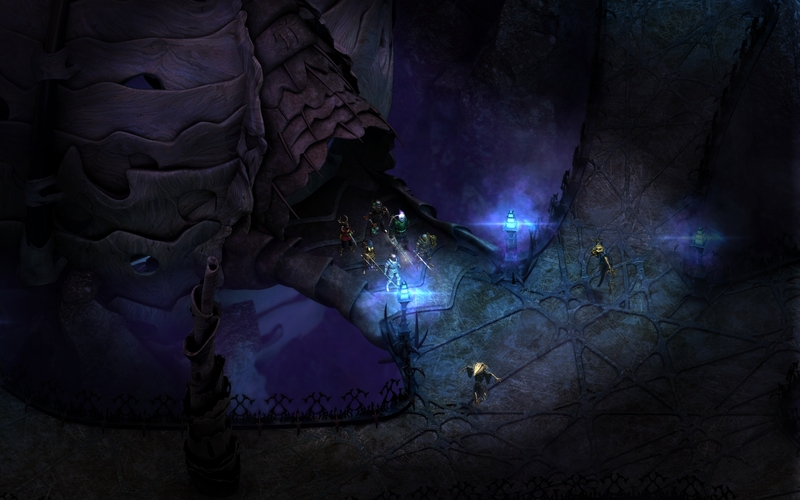 On the default difficulty, without allowing the game to scale up the challenge to my party (which was recommended), I still struggled immensely with average enemy groups of lowly cultists, wiping multiple times in some cases. The new monk-class enemies could dodge right past my tanky melee line and go after my squishy damage dealers with seeming impunity, for instance, and had far too much health for me to be able to focus fire them down before they turned the entire encounter into a rout. Conversely, the enemies who were supposed to be big and scary (including the towering Eyeless war constructs central to the story, and the colossal, set piece final boss) were felled with ease, leaving hardly a lasting scratch on my party. 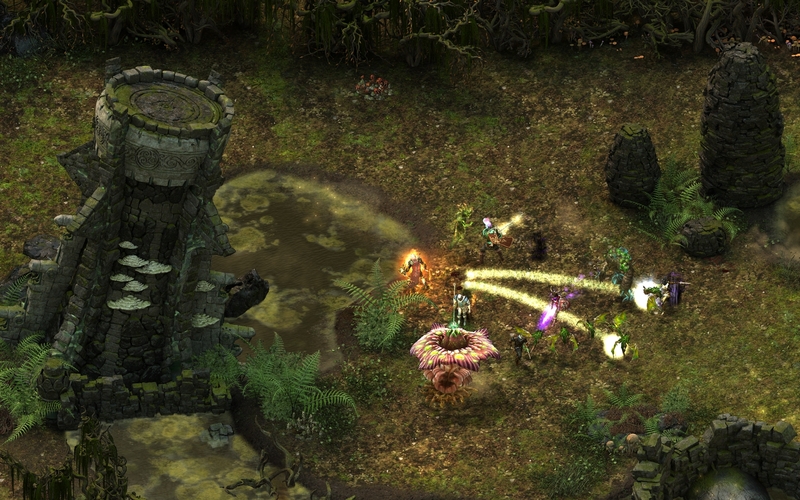 Simply put, Pillars still does a poor job of giving you the tools you need to manage basic party tasks like tanking and crowd control in chaotic situations with lots of weaker enemies. 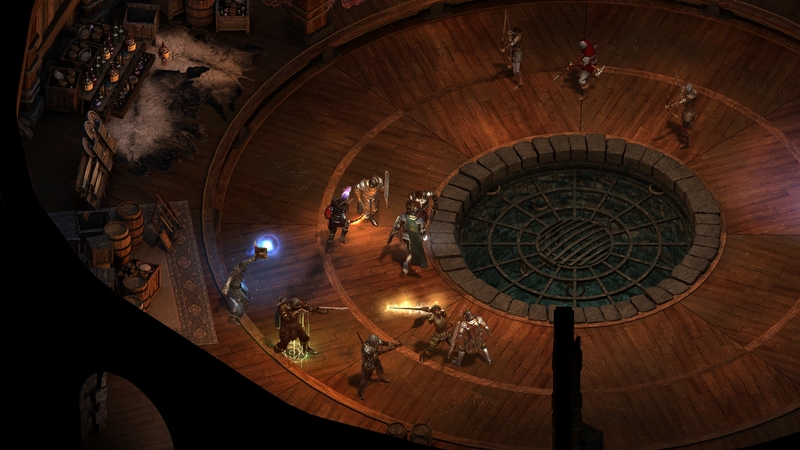 Where these options do exist, they're often buried so deep in the corner of one of its far too exhaustive spell lists, forcing you to do huge amounts of pausing, reading, and needless micromanagement, even when your party AI settings are fine-tuned to perfection and your difficulty is set to default. 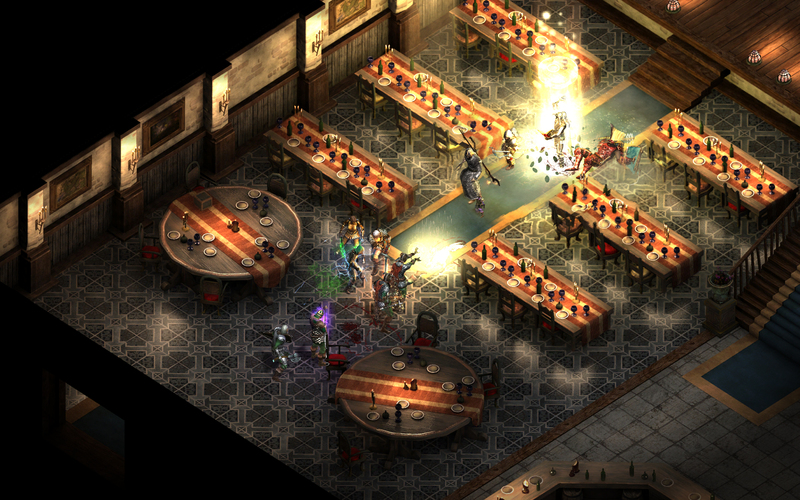 It's all the worst parts of playing a caster in a tabletop RPG like Dungeons & Dragons 3.5 ported to digital form. 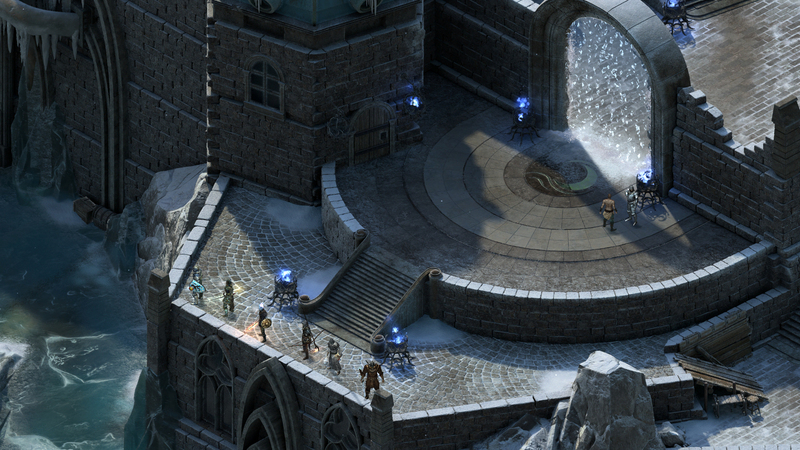 Obsidian's combat designers would do well to start balancing their encounters more on smart tactical positioning, good party AI settings, and a shrewd class composition instead of expecting you to memorize 100 spells across six characters and always know which one is needed to deal with a particular enemy. 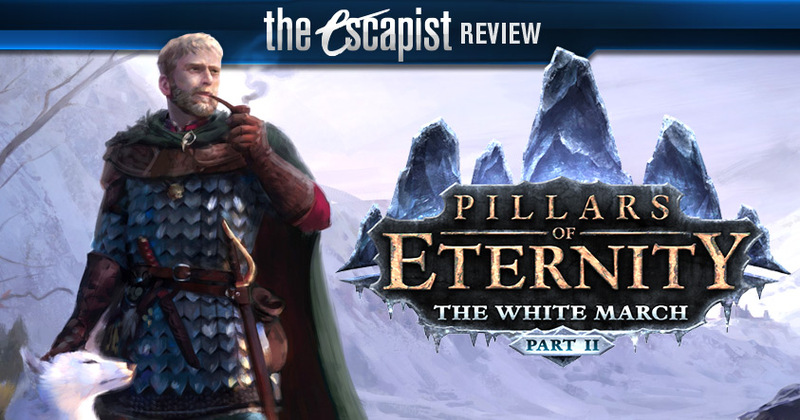 White March Part 2 offers some of the most striking visuals in the series so far, presenting layered, mountain vistas and a menacing new dungeon built around the bones of a god in the detail-oriented, lovingly hand-painted style we've enjoyed since we first awakened outside Cilant Lis. It was this, in part, that left me wishing there had been more to explore. I couldn't call the amount of new content skimpy by any means, but it lacks what made Part 1 feel expansive: There is no new hub town, no freeform side areas to explore, no sprawling dungeon on the same scale as Durgan's Battery, and not many new side quests. Some of the coolest additions, including an awesome quest line featuring a full-on battle for Caed Nua, are part of the free 3.0 patch, rather than the expansion. This ultimately left me wondering whether it was a good idea to split White March into two releases, but looked at as a whole, it is greater than the sum of its parts. 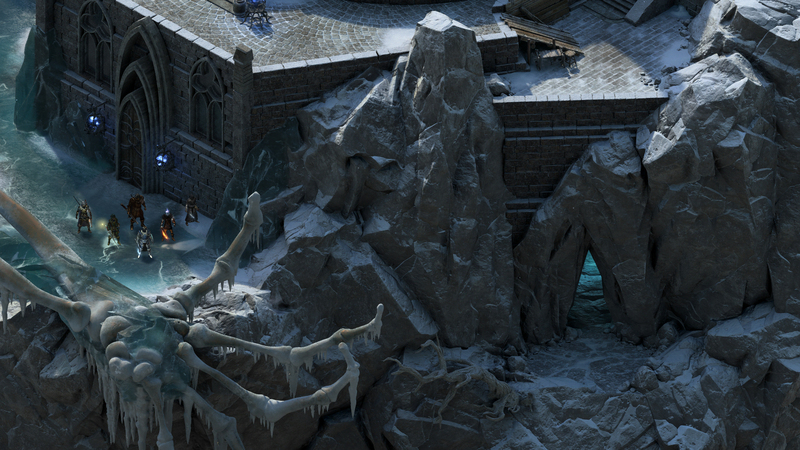 Bottom Line: Pillars of Eternity: The White March Part 2 offers a focused, fast-paced endcap to the Watcher's tale, answering all of the lingering questions from Part 1, and then some. The encounter design brings some ongoing problems with Pillars combat to the forefront in several areas, but the overall experience is balanced out by high quality storycraft, interesting new locales, and momentous, world-shaping decisions available to the player. Recommendation: If you've played The White March Part 1, you should absolutely grab Part 2 and experience the conclusion of the larger story. 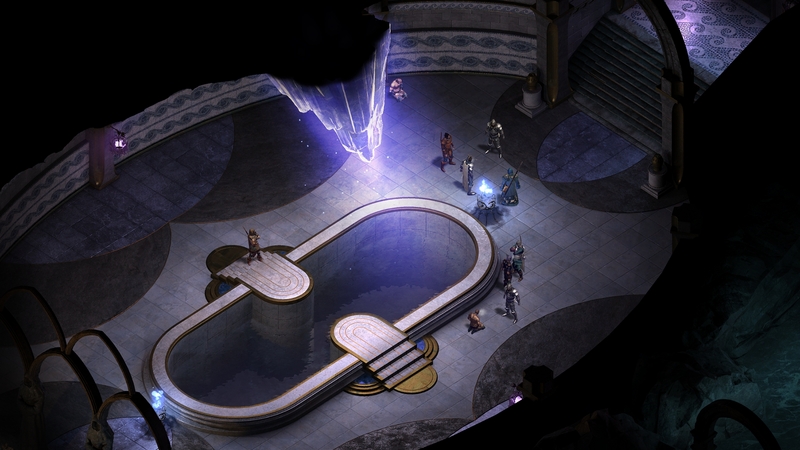 If you haven't played Part 1 or are totally new to Pillars of Eternity, I highly recommend buying and playing both parts together, as if they were a single product.